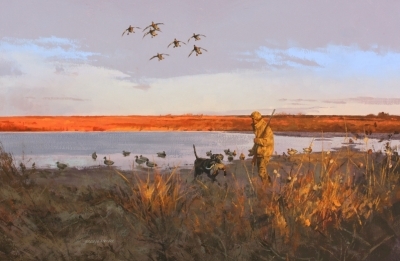 "Hardie paints the way fisherman and hunters see, with a well-drawn realism that's soft and impressionistic at the edge but hard and clear at the center where the action is. Eldridge Hardie is as good as any painter alive in depicting not only the beauty of nature but also the subtle psychological tug in any fishing or hunting scene. Eldridge Hardie gets it, and he has put it on canvas for all to enjoy."